The impressive mountains of Troodos reach an altitude higher than 1900 metres and during the summer they are offered as a fresh refuge for long walks in the pine-scented woods. During the winter, one can practice skiing and other winter sports. The area has been known since ancient times for its mines. These mountains are complete with beautiful resorts, picturesque villages and Byzantine monasteries and churches. Ten Byzantine churches in the Troodos Mountains are included in the official UNESCO list of cultural treasures of the World's heritage. 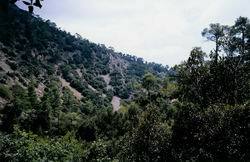 In the Troodos mountain range, besides Machairas to the east and the actual Troodos district around Mount Olympus (height 1951 metres), there are four other districts, each of which has its own character and separate charm. These districts are easy to reach from either Lemesos or Lefkosia. This picturesque area lies on the eastern slopes of Troodos and is composed of about 40 villages which cling to the mountain side amid vineyards, orchards of almond and hazelnut trees. Some of them are: Louvaras, Agros, Platanistasa, Lagoudera, Kourdali and Pelendri . Popular hill resorts here are the mountain villages of Galata and Kakopetria, with a good range of hotels and restaurants, but also retaining much of the old folk architecture. Both villages are famous for their Byzantine churches. Other important villages in the area are: Evrychou, Flasou and Korakou. 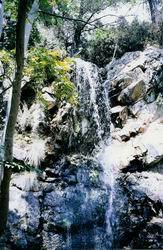 This fertile valley on the north side of the Troodos range is well-known for its cherries. 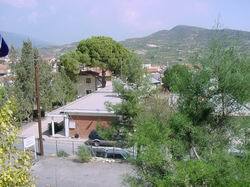 The largest villages here are: Kalopanagiotis, Mouttoulas, Pedoulas and Prodromos. In this area, there are three important monasteries: Kykko, Trooditissa Monastery and Mesa Potamos Monastery. Found on the south side of the Troodos range, these villages keep old traditions alive. This is the area which produces famous local red dry wine. The cultivation of vineyards and wine-making, is still the main occupation of most of the inhabitants. Main villages in the area are: Omodos, Arsos, Pachna, Vouni.